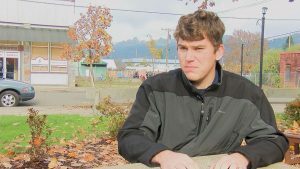 YONCALLA, Ore. (KEZI/CNN) – In the small town of Yoncalla, Oregon, voters elected a new mayor—one who’s barely old enough to vote himself. Simons just graduated high school in June, but now he has the responsibility of an entire town on his shoulders. Besides his new gig, he’s also a student at Umpqua Community College after he graduated as the valedictorian at Yoncalla High School. Not to mention, he’s also a Yoncalla city councilor and volunteer firefighter for the North Douglas County Fire Department. Yoncalla has a population of a little more than 1,000 people. KEZI spoke to some residents who are optimistic with Simons as the new mayor and are excited for a change. As mayor, Simons said he wants to make sure that money is being spent to the best of their abilities, maintaining streets, infrastructure and anything else that’s necessary.